Open free to the public during the Newtown Heritage Festival on the Saturday before Memorial Day every year . From I-81 Northbound – Turn left at the exit ramp light; go over the overpass into town on Fairfax Street. From I-81 Southbound – Turn right at the exit ramp light, and proceed into town on Fairfax Street. 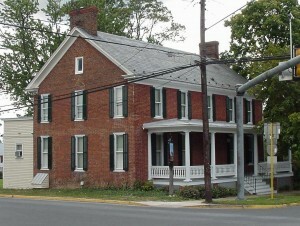 The museum is located at the southeast corner of Fairfax Street and Main Street (Route 11). Parking is available in front of the museum on Main Street or at Trinity Lutheran Church across Fairfax Street.